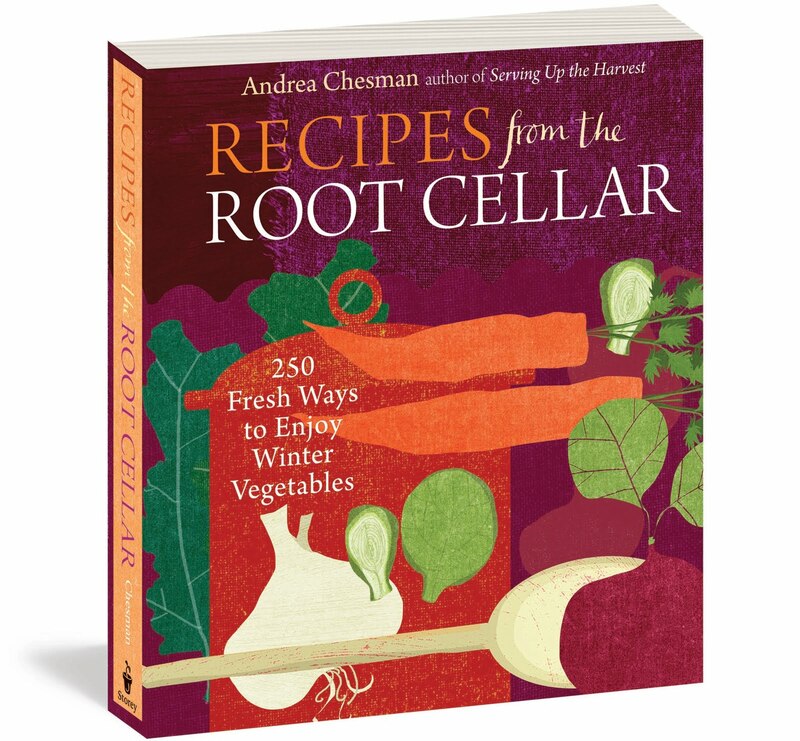 Last week I was really in the mood for some butternut squash, so I looked through Andrea Chesman's Recipes from the Root Cellar and found this easy recipe for Gingered Purée of Root Vegetables. 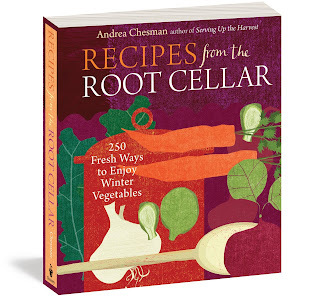 As with many of her recipes, Andrea recommends substituting whatever root veggies you have on hand for the ones called for in the book. I cut up my butternut squash, as well as a sweet potato that I had. Then I added some other veggies, which made for quite a colorful pot! A red onion and two cloves of garlic were called for, and I added a delicata squash and a leek, which were not. The carrot, parsnip, and rutabaga that were called for would have been great, I'm sure, so I'll have to try the recipe again with that combination of winter vegetables. I kept an extra pot on the counter so I could easily collect my kitchen scraps to bring out to the compost later. After I’d boiled the veggies for a while to soften them, the kitchen was full of the steamy aroma of the onion, garlic, and leek. I then added butter, cream, and fresh ginger. I don't have a food processor, so I mashed instead of puréed, which was really easy, although the chunks of leek and ginger did add some surprising texture that would have been pulverized had I used the food processor. I added the nutmeg, salt, and pepper, then decided to make the dish a little heartier by adding some shredded cheese. Yum! The finished result was a hit! We paired our purée with some crusty French bread with butter, for an easy weeknight dinner. Stock up on seasonal vegetables from your local farmers’ market, and use them in endless combinations with Recipes from the Root Cellar.